He purchased some used equipment from a customer of his who was a ham, and I started the process. Each time that I did this over the years, it was mostly the Morse code requirement that held me back. I just didn't enjoy it. Listening continued to be enough for me. This past August, I finally decided to do it. The code requirement is gone now, and the internet offers some great study tools for the written test. I passed and purchased a basic Chinese-manufactured 2 meter handi-talkie. 5 weeks later, I was taking the test to get my General class license. I'm not actually sure my dear departed Uncle Win would have appreciated the no-code licensing that we have these days, but I am sure he would still be proud in some way or another. All of my contacts up till this past weekend have been on VHF and UHF. Mostly through my club's (LIMARC) repeater. 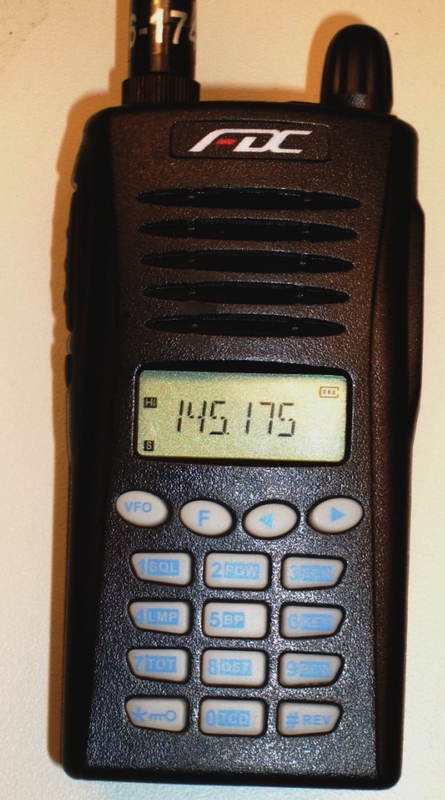 I went through what we hams have been calling lately the standard new-ham VHF-UHF progression. First we buy a cheap HT just to get on the air quickly, then when we realize that the range limits us to local (within 10 miles or so) repeaters only, we buy an antenna (I picked up a mobile mag-mount). This usually gets us into more repeaters, but with people complaining about the quality of our signal. Finally comes the mobile rig. 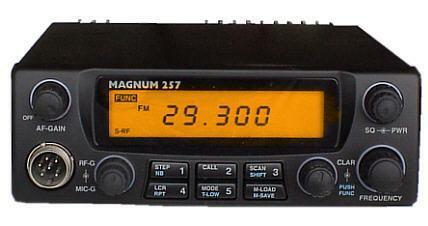 I purchased a Magnum-257 mobile 10-meter rig a couple of months back. With the sunspots up, 10 meters sometimes really performs during the day. I have been listening to people from all over the world come over a local repeater here in Manhattan that is linked to a 10-meter input upstate. My antenna situation at home is limited for now, and I felt this was the best way to go for now. I've tried a few times to make contact with people, and had various issues with interference, incorrect power wiring, and some settings on the radio being wrong. This past Saturday though I tried from a quiet parking area on the south-shore here in Long Island. My first contact was with France! It was a contesting station that answered me and gave me a good report. I then tried calling CQ myself. To my surprise, I was answered on the second try. A station from Albuquerque, NM heard me and talked to me about radios and the great conditions for about 10 minutes while my son and daughter watched in amazement. 45 watts, and a modified CB antenna. That was all I needed to do this. Now, I need to work towards getting on the other bands. I have so many plans for this new hobby. It's hard to explain, but I think waiting this long made me appreciate it even more. I still listen to Shortwave, and do a little AM DXing too, but I can't even begin to tell you how it felt when that operator in France acknowledged me. So to you SWLs out there that read my blog. Take the step! It's a lot easier to do than you think, and very rewarding. 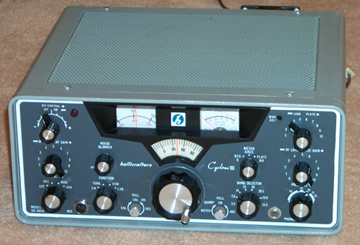 The number of amateur radio operators in this country is at an all time high. The hackers and makers of the world are re-discovering the world of radio and becoming part of something great. My fellow hams are some of the nicest people I have ever met too. Go to eHam or QRZ and take some practice exams. Buy a book. Take the step.